Paul C.P. McIlhenny, CEO Of Company That Makes Tabasco Sauce, Dies : The Two-Way Paul C.P. McIlhenny was the sixth member of his family to be named president of the McIlhenny Co., which makes the iconic hot sauce. He was 68 years old. Paul C.P. McIlhenny reigns as Rex as he arrives at Canal Street during Mardi Gras celebrations in New Orleans on Feb. 28, 2006, six months after Hurricane Katrina devastated the city. McIlhenny, the CEO and chairman of the company that makes Tabasco sauce, died Saturday in New Orleans. He was 68. The CEO and chairman of the company that makes Tabasco sauce has died in New Orleans. Paul C.P. McIlhenny was 68. McIlhenny died Saturday, according to a Sunday statement from the Avery Island, La.-based McIlhenny Co.
"All of McIlhenny Company and the McIlhenny and Avery families are deeply saddened by this news," Tony Simmons, president of McIlhenny Company and fifth-generation McIlhenny family member, said in the statement. "We will clearly miss Paul's devoted leadership but will more sorely feel the loss of his acumen, his charm and his irrepressible sense of humor." "Mr. McIlhenny entered the family business in 1967, shortly after earning a degree in political science at the University of the South in Tennessee. "Despite his passion for all things Louisiana, Mr. McIlhenny was born in Houston in 1944, along with a twin sister, Sara, because their mother was staying there with her mother while the children's father was in the military during World War II, said his daughter Barbara McIlhenny Fitz-Hugh. "Mr. McIlhenny grew up in New Orleans and spent much of his childhood shuttling between New Orleans and the family's compound on Avery Island." 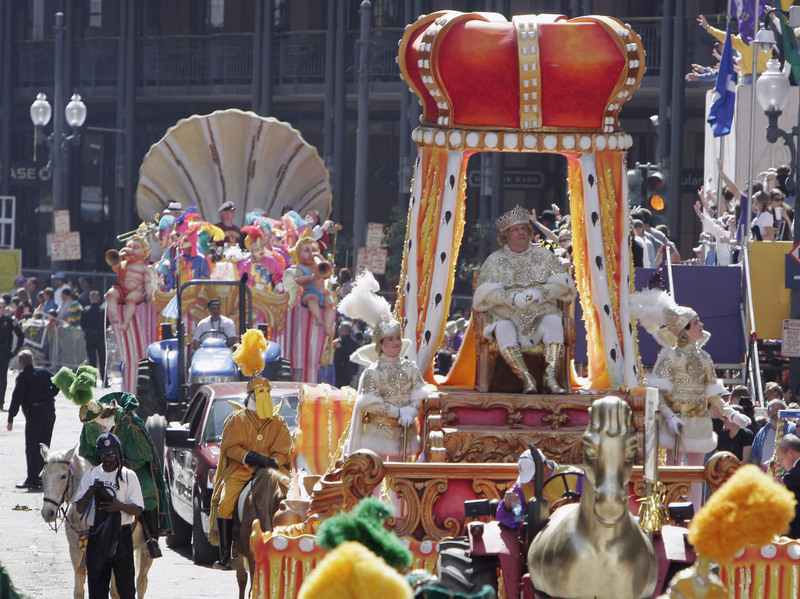 In 2006, McIlhenny reigned as Rex, the king of the New Orleans Carnival, after the devastation of Hurricane Katrina. "Although Mr. McIlhenny was serious about coastal restoration and the preservation of Louisiana's wetlands, he generally was a merry man — one friend described him as 'Falstaffian' — who strove to inject humor wherever possible. "A few days before he reigned as Rex in 2006, Mr. McIlhenny quipped that if, during the ceremonial toast to the mayor at Gallier Hall, the subject of hot sauce came up, 'I'll say that's one form of global warming I'm totally in favor of. We're defending the world against bland food.'" In an 2002 interview with NPR, McIlhenny talked about the origins of the iconic sauce, made by the company founded by Edmund McIlhenny in the 1880s. "I think he found cologne bottles that had stoppers with sprinkler fitments in them," he said. "The sprinkler would allow something to be dispensed by the drop or the dash rather than poured on and his sauce was so concentrated that it was practical, so the legend is that he found old cologne bottles and filled them with Tabasco sauce." McIlhenny is survived by his wife, Judith Goodwin McIlhenny, two daughters, Barbara McIlhenny Fitz-Hugh of New Orleans and Rosemary McIlhenny Dinkins of Nashville, Tenn., and four grandchildren.